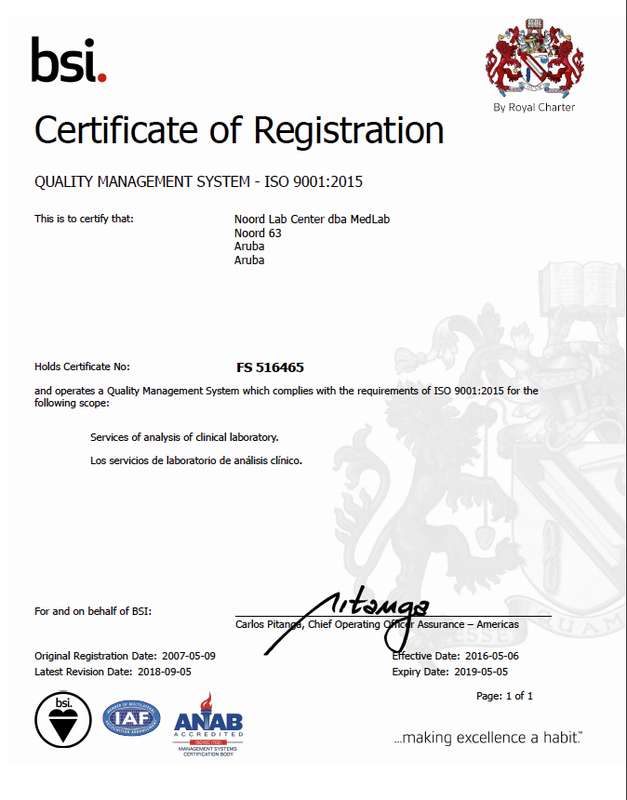 It establishes, documents, maintains and continuously improves the effectiveness of its quality management system, always complying with the requirements established by International Standards ISO 9001:2008 and ISO 15189:2007. To identify the processes needed for the management of its quality system and implementation across the organization. To determine the sequence and interaction of the processes that are carried out. To determine criteria and methods needed to ensure that both the operations and control of these processes are effective, through the development of policy’s and procedures. To ensure the availability of resources and information necessary to support the operation and monitoring. To keep track, measure and analyze. To implement necesarry actions to achieve planned results and continuous improvements. The points above are performed through the Process Sheet F-SGC-01 Indicators. 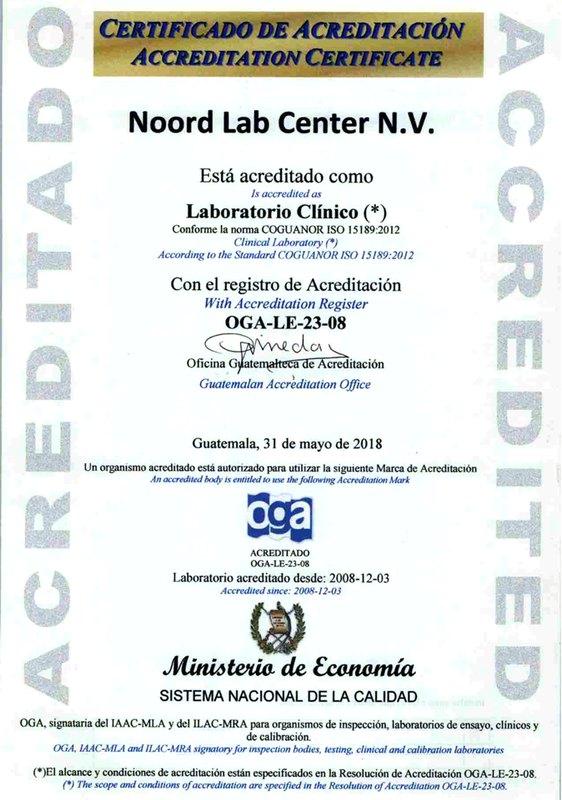 It is noteworthy to mention that MEDLAB Laboratorio Aruba is the only laboratory on the island that is currently Certified and Accredited, guaranteeing to its customers, that the quality management system and technical process of the laboratory are constantly being monitored and evaluated by international accreditation and certification entities. The quality of the processes that are generated by our laboratory services are certified, supported and constantly monitored by the following international organizations. Initiates the implementation of a quality management system with the objective of improving the services that are offered to its customers. It is important to mention that the achievement of such system is a process that took over 3 years of preparation, controlling, recollection of data with its corresponding analysis and validation.